This week, the RPO will perform a lively concert featuring compositions specifically written for ballet or with movement in mind. With this focus on symphonic works for dance, Music Director Ward Stare has chosen some real gems that are ideal for his buoyant, charismatic conducting aesthetic, including Bartók's thrilling ballet music for a rather seedy story in "The Miraculous Mandarin Suite" and the sparkling and seductive dystopia that is Ravel's "La Valse." 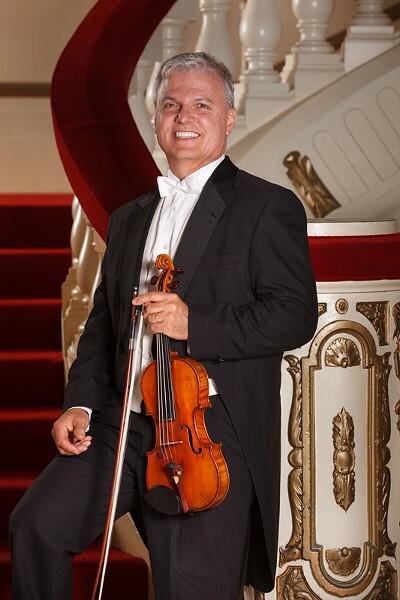 Members of the Rochester City Ballet will join the RPO for Dvoák's "Slavonic Dances," and violin soloist David Halen will feature in Tchaikovsky's Violin Suite from "Sleeping Beauty" and Swan Lake." The Rochester Philharmonic Orchestra will perform Thursday, February 8, at 7:30 p.m., and Saturday, February 10, at 8 p.m., at Eastman Theatre's Kodak Hall, 60 Gibbs Street. $24-$104. 454-2100; rpo.org; rochestercityballet.org.